Measurements below are a general guideline to get the best print on Wave Top bags. 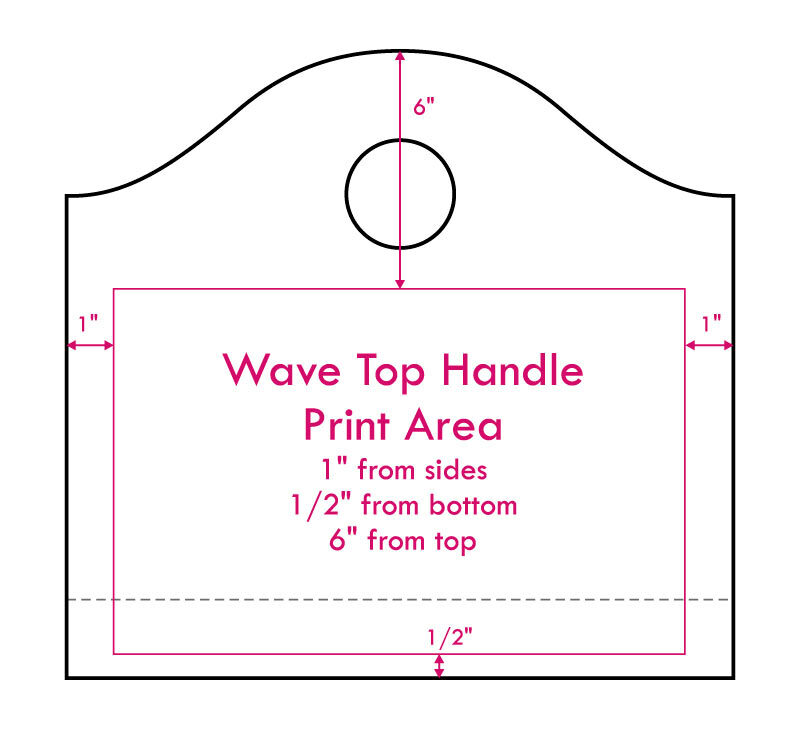 The distance from the very top of the wave handle to the bottom of the handle hole is 5", and we recommend that print be at least 1" down from the bottom of the handle. NOTE: Bag height is measured from the top of the wave. Printing in the handle area is possible, and works best with patterns. The location of the top Wave shape and handle hole may vary from bag to bag, so attempting to put critical information in the handles area should be done with care.